Window wall systems are commonly used in ribbon window configurations or punched openings. The framing system spans from slab-to-slab and can be installed from the building’s interior to improve logistics and reduce installation costs. Window wall systems can also employ floor slab edge covers that enable the system to mimic the look of a curtain wall system at a significantly reduced cost. YKK AP is your partner for sustainable building and LEED v4 certification. With the completion of a comprehensive life cycle analysis (LCA), YKK AP can now provide product-specific Type III environmental product declarations (EPD) for all products in the Window Walls category. 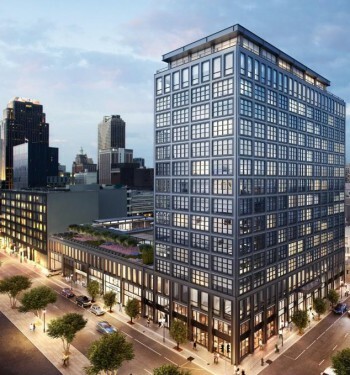 The downtown New Orleans community celebrated the grand opening of luxury condominium building, The Standard. 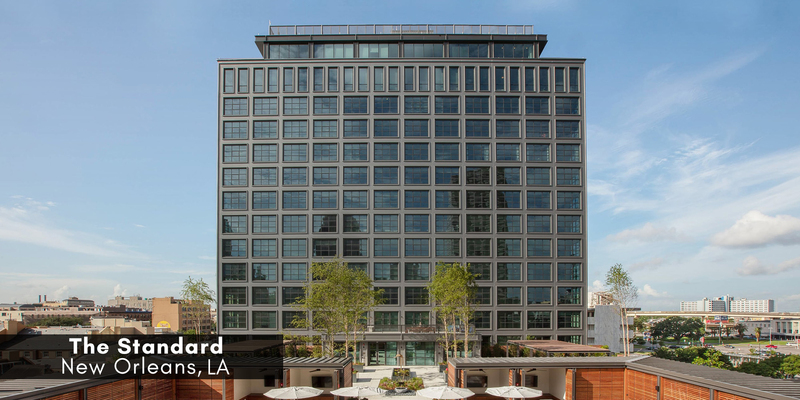 Designed by renowned architect and New Orleans native, Morris Adjmi, The Standard embodies the city’s rich history, unique culture and diversity, with a nod to its bright future.